Czech Center Museum Houston presents A Musical Cabaret with Mark & Helena Greathouse: You Do Speak English, Don’t You? You Do Speak English, Don’t You? is a cabaret style variety show by Mark and Helena Greathouse. 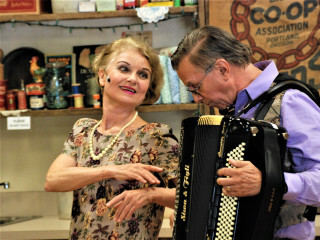 The show features Mark’s own songs, as well several familiar songs and parts of instrumental numbers, all interspersed with short, humorous dialogues highlighting challenges Helena and Mark have experienced in their lives as a Czech-American couple. $18; free for kids and students under 18.